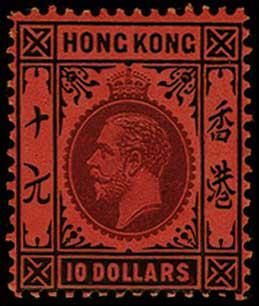 16, 1916 $10 Black and violet on red, fresh and Fine, scarce. 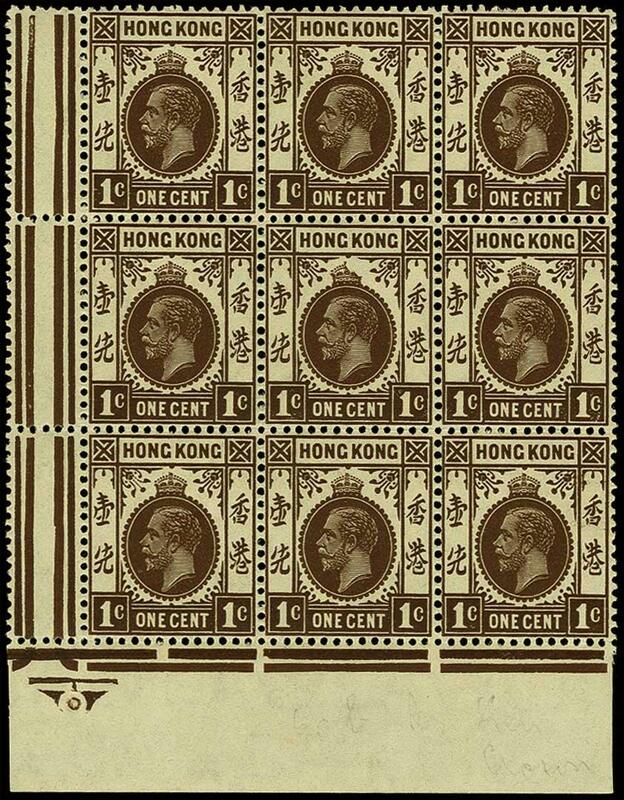 (Scott $550; SG 17, £700). 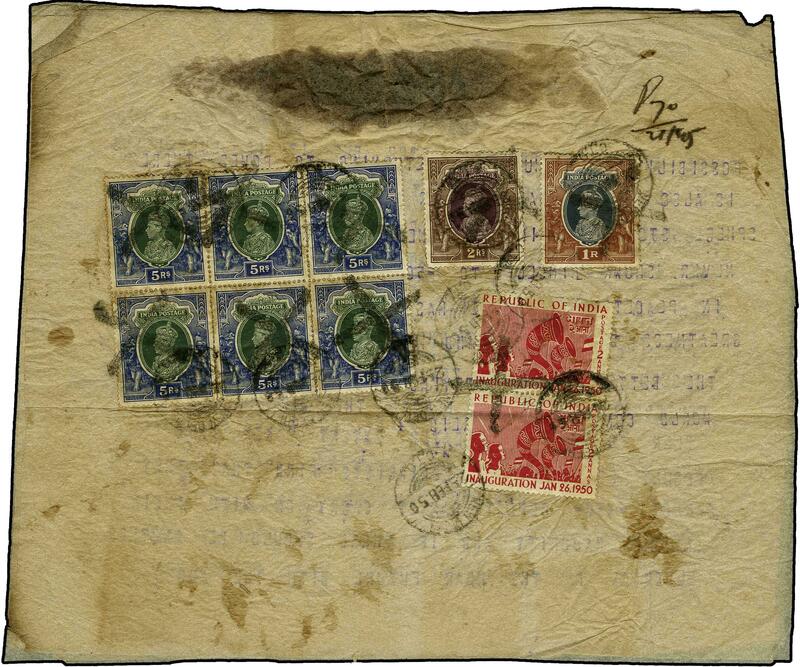 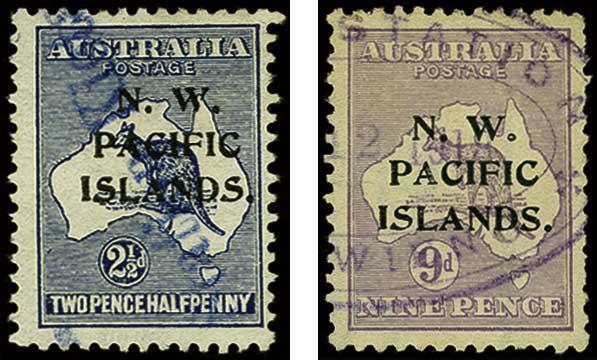 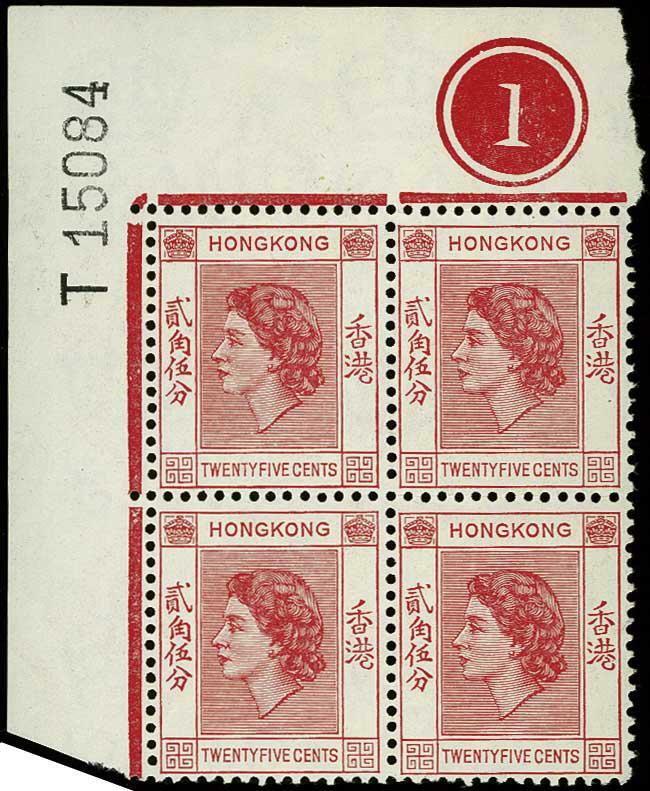 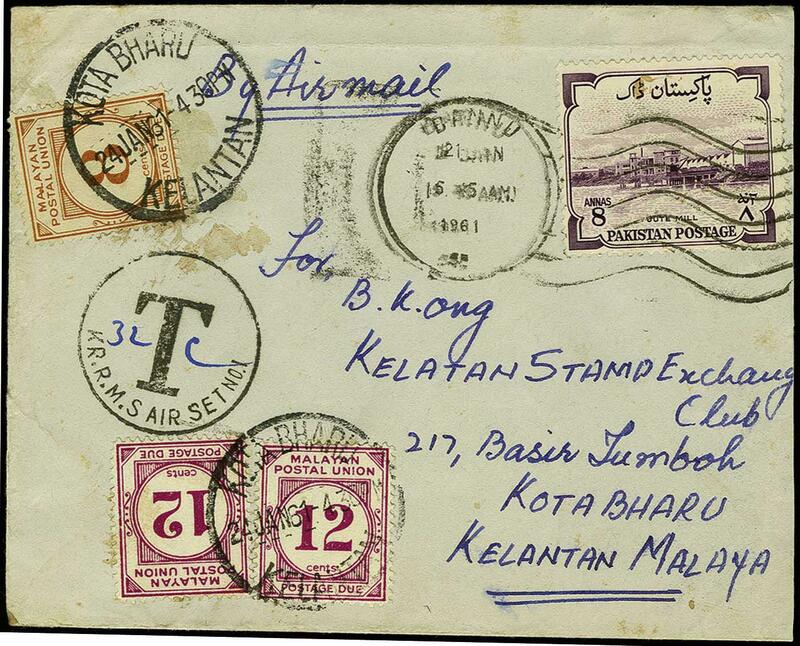 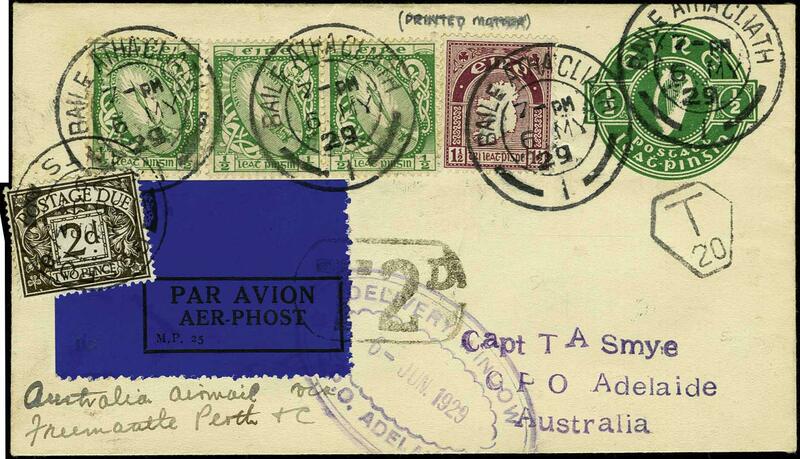 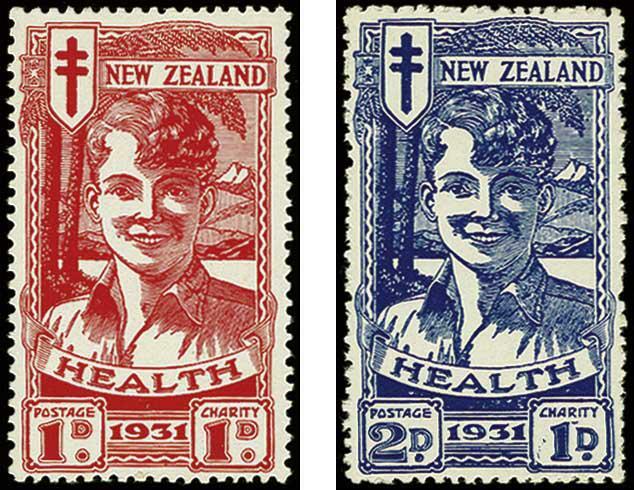 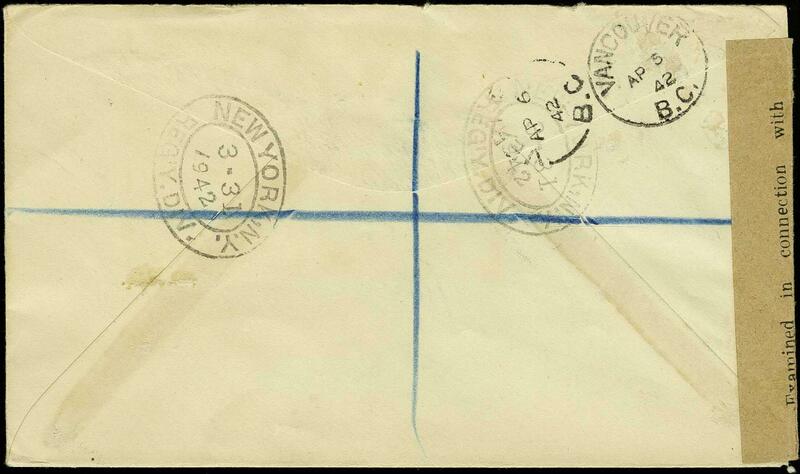 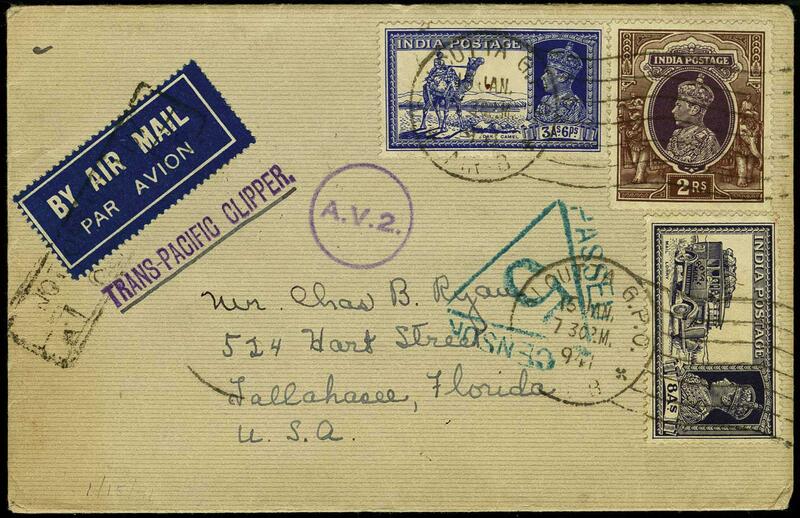 1940 Trans-Pacific Airmail Dual Censored Covers from Bombay and Calcutta to USA, two covers, with Type 6B1 Bombay sealing censor tape, and violet PASSED CENSOR 9 / HONG KONG Triangle marking, with "Help the RAF" label on reverse; also, Calcutta cover with box censor applied over Air Mail label, sent via Hong Kong with Type 5 blue-green "PASSED CENSOR / 5" marking, and A.V. 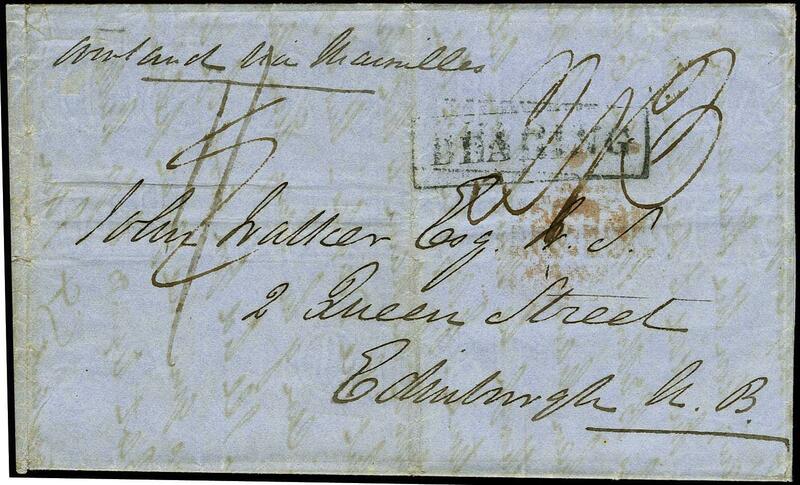 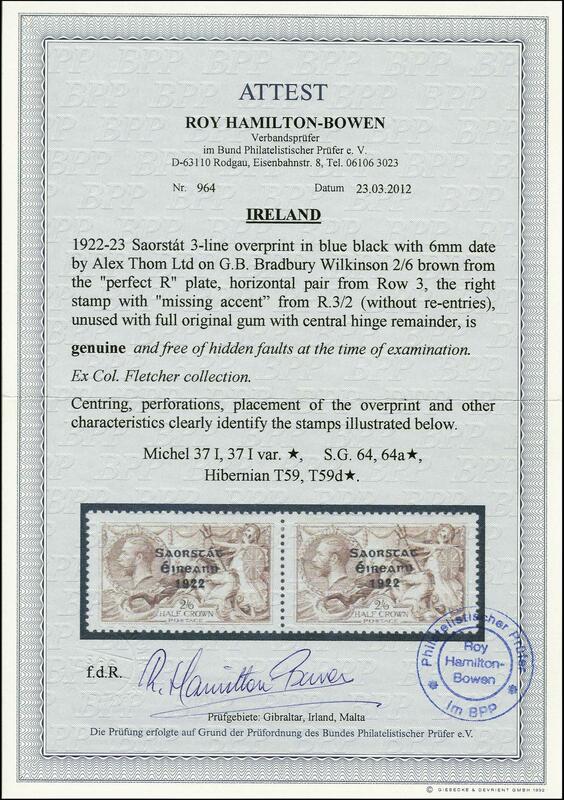 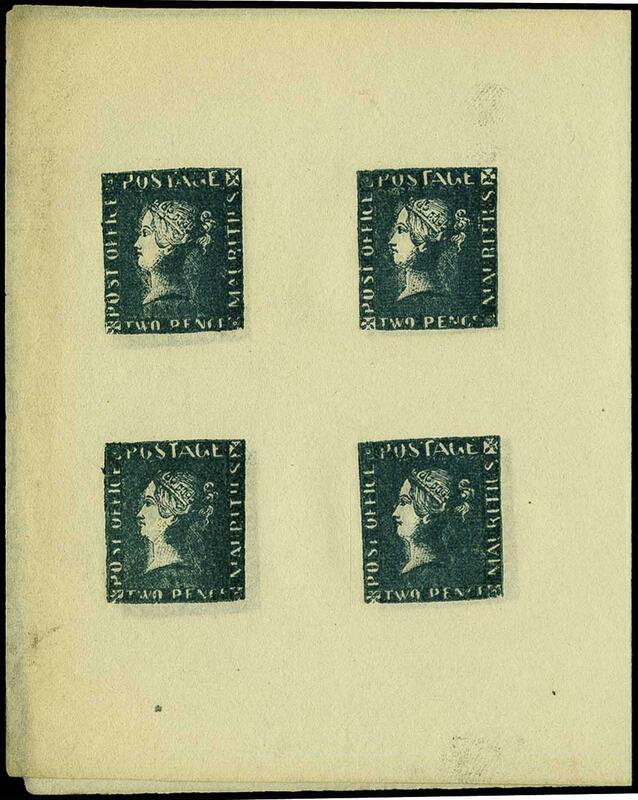 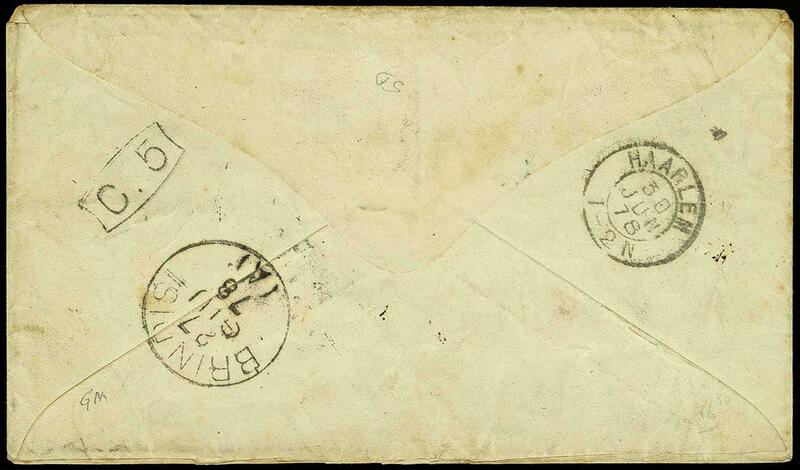 2 marking alongside; Fine and scarce pair of covers. 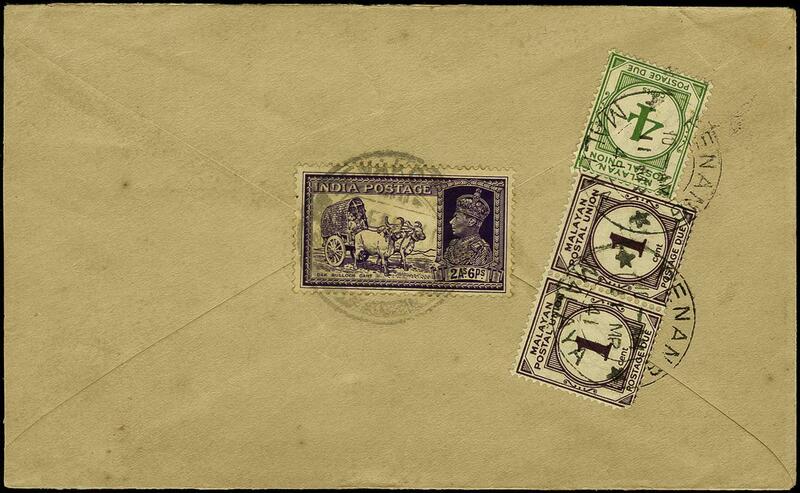 Original Historical Telegrams sent from London to the Press Times in New Delhi, two from 1950 (4 Feb and 25 Feb); both have high value franking with KG VI stamps, one paying over 55 Rupees (5R and 15R stamps); the other paid over 33 Rupees, with a block of six 5R stamps; the content of the telegrams pertain to the British Parlementary election of 1950, both before and after, and contain five or eight pages of political information; typical wear and toning, great item for historian. 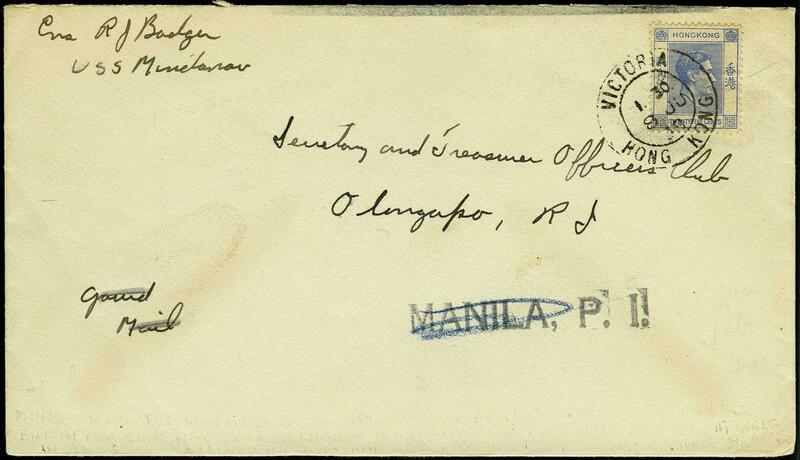 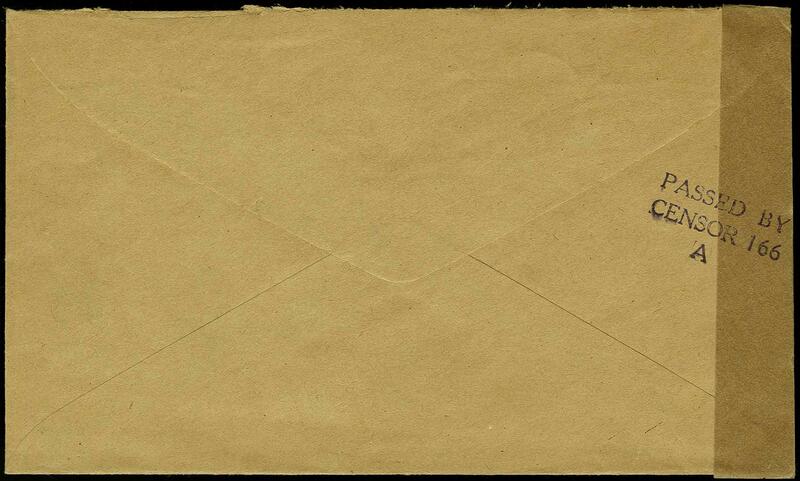 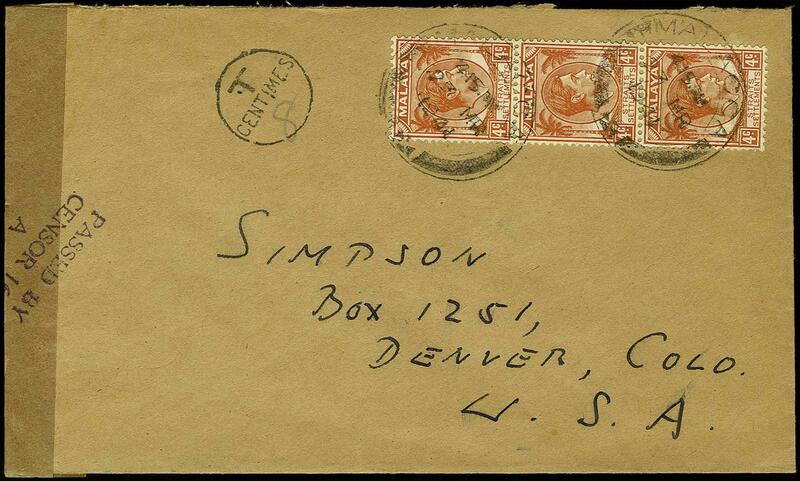 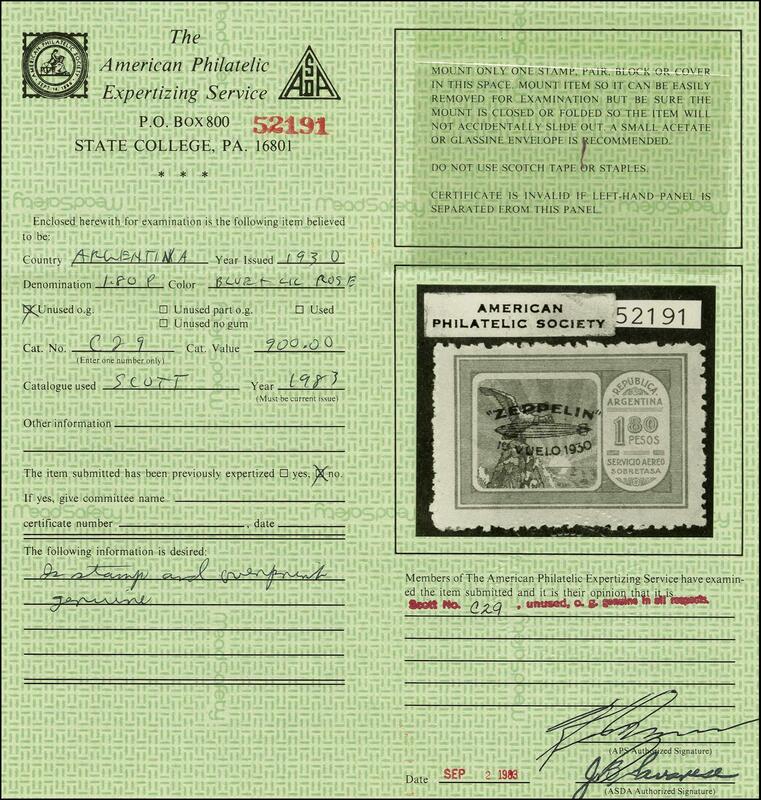 1941 Postal Card to USA from Undercover Address, return address "P.O.B. 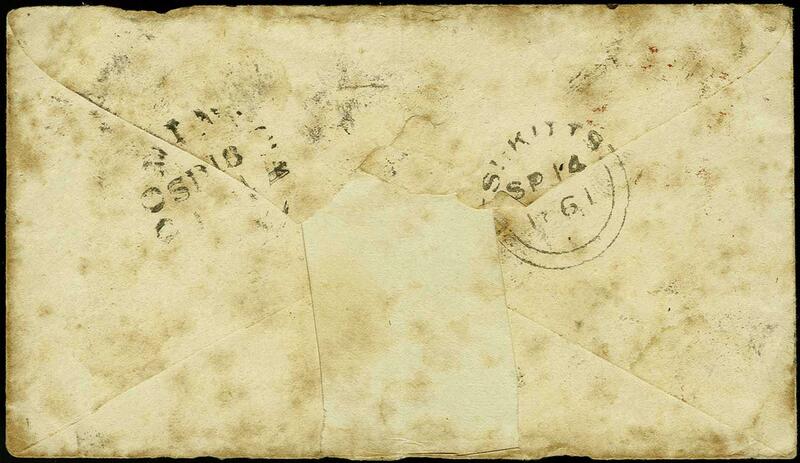 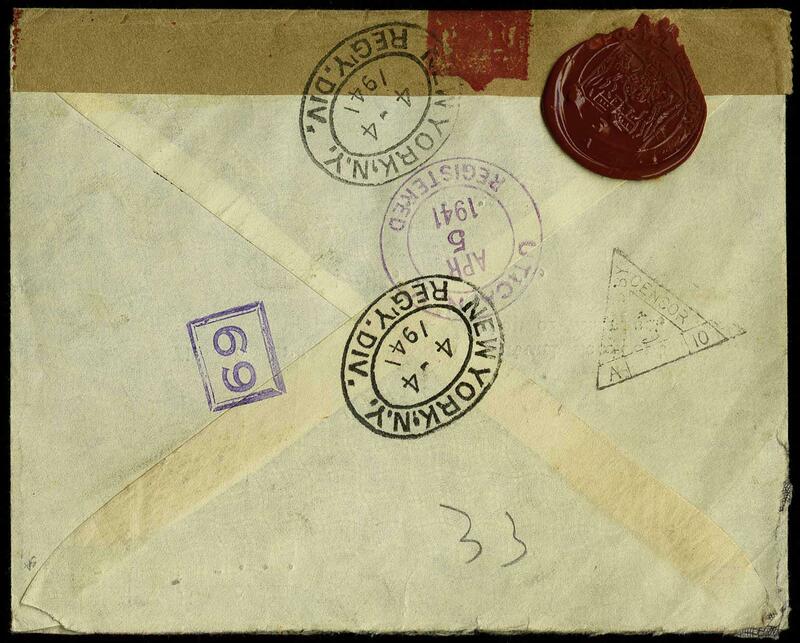 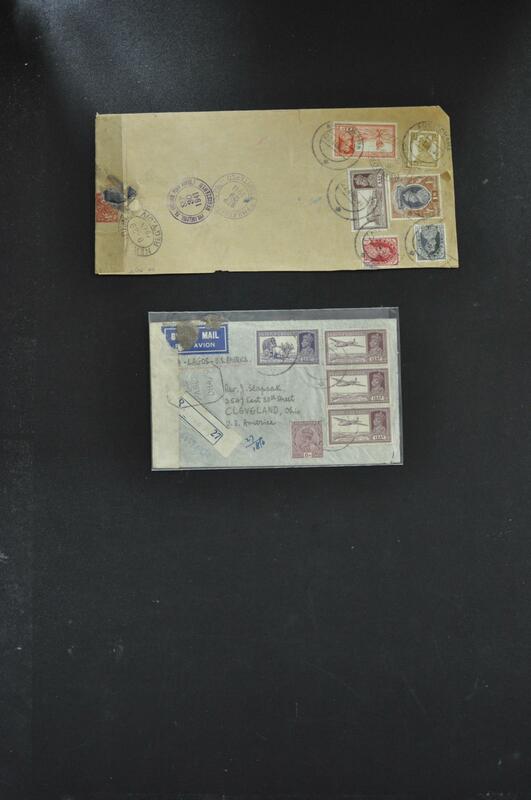 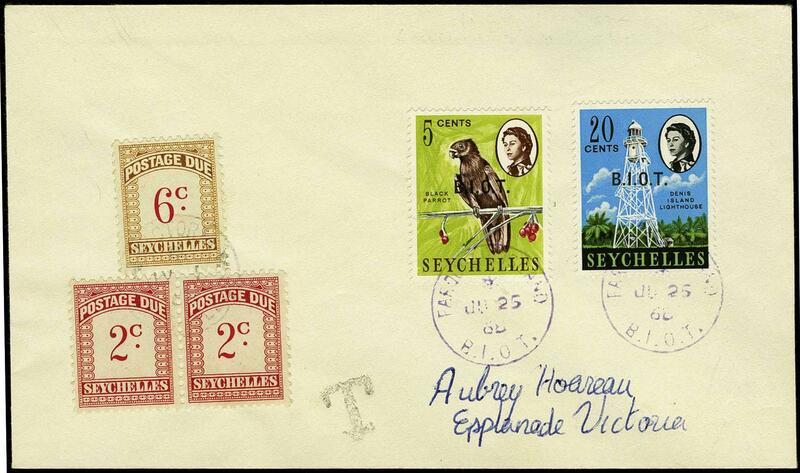 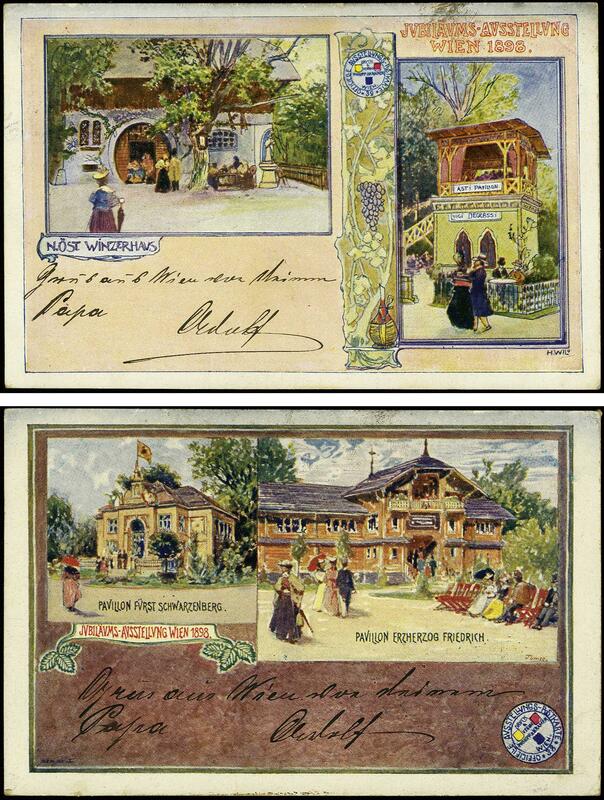 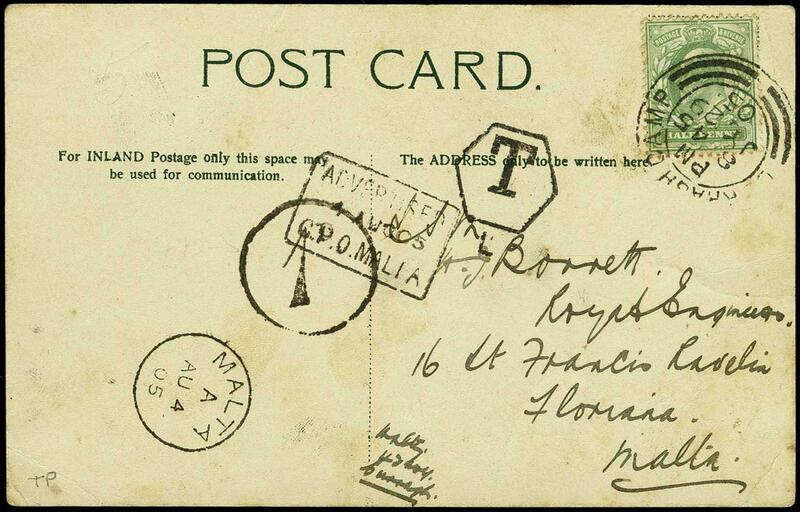 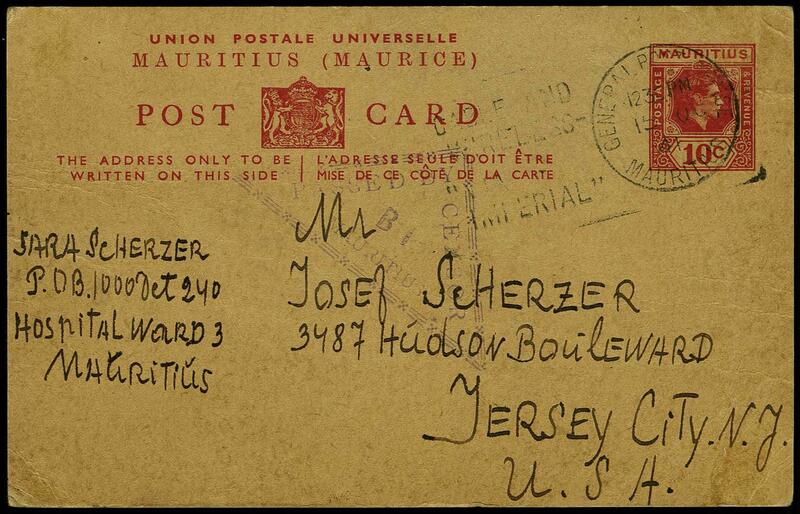 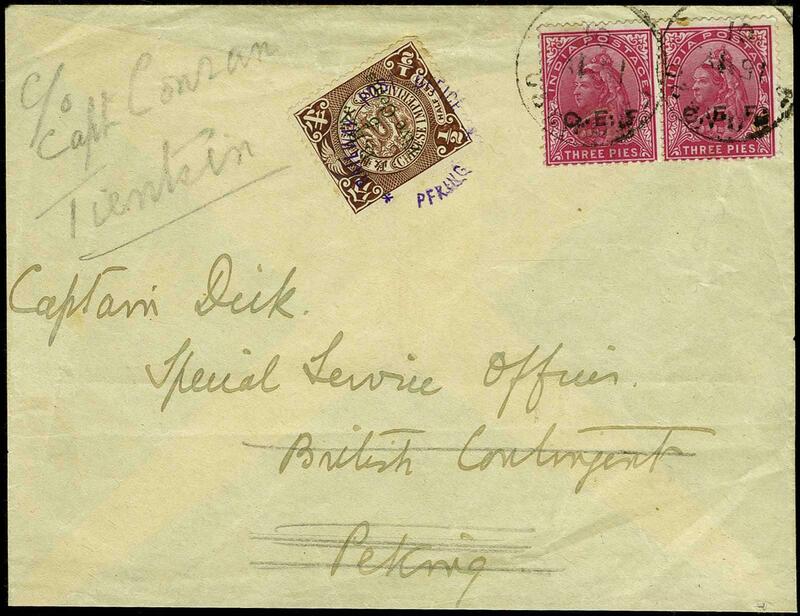 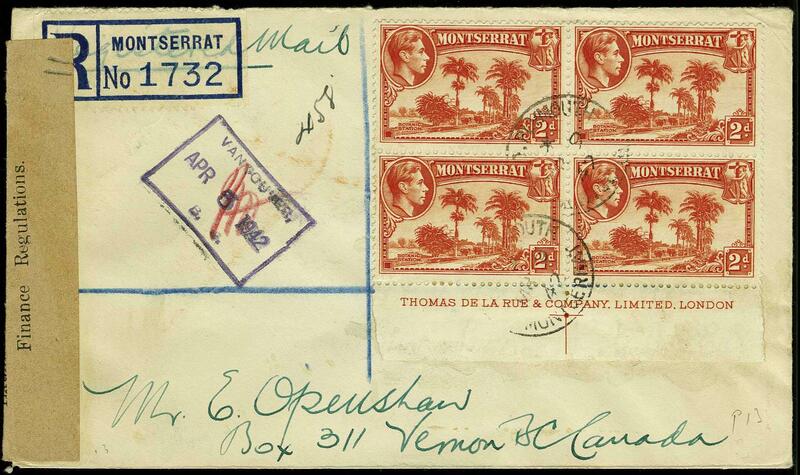 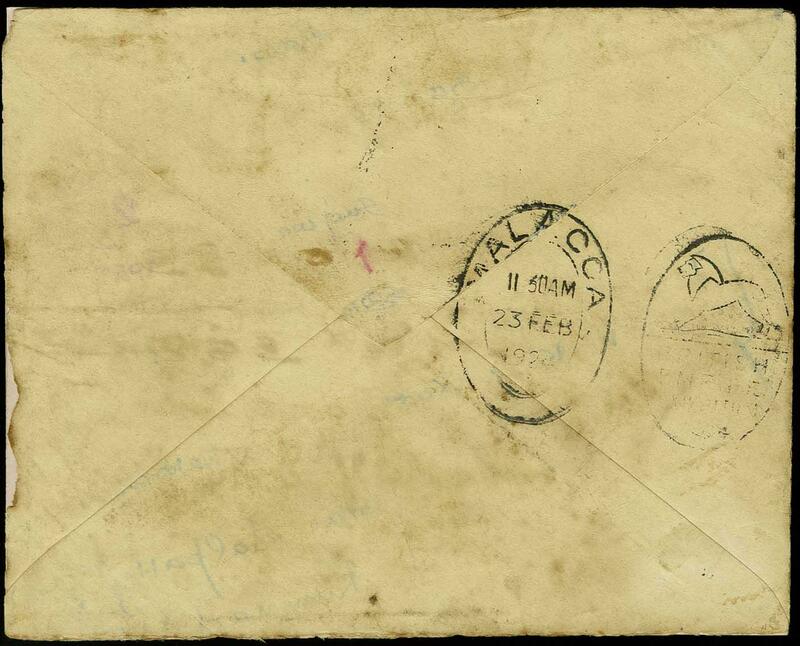 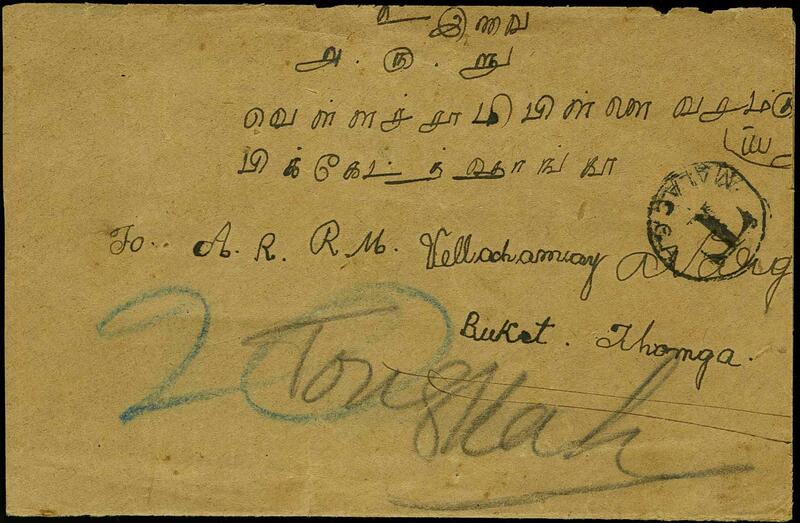 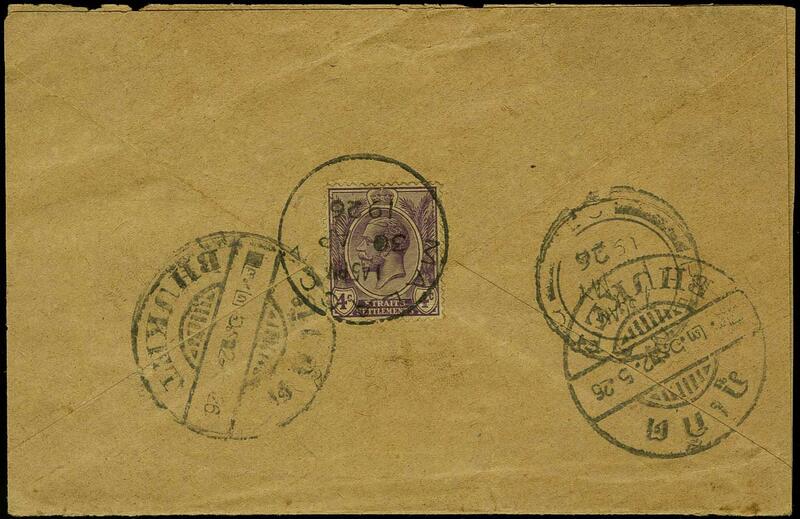 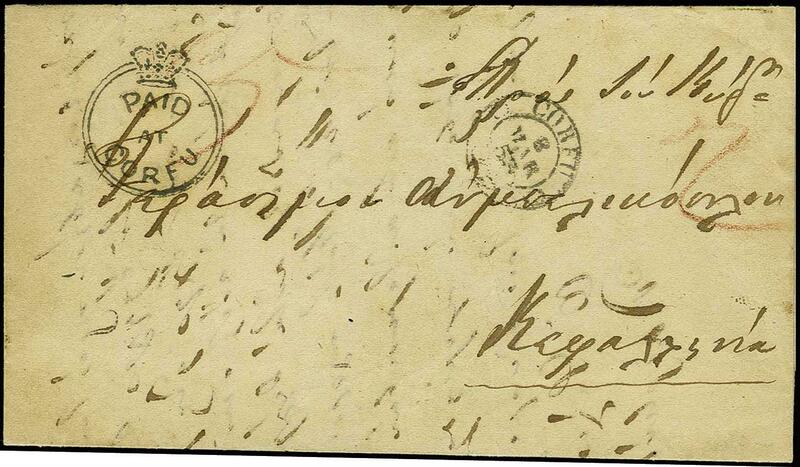 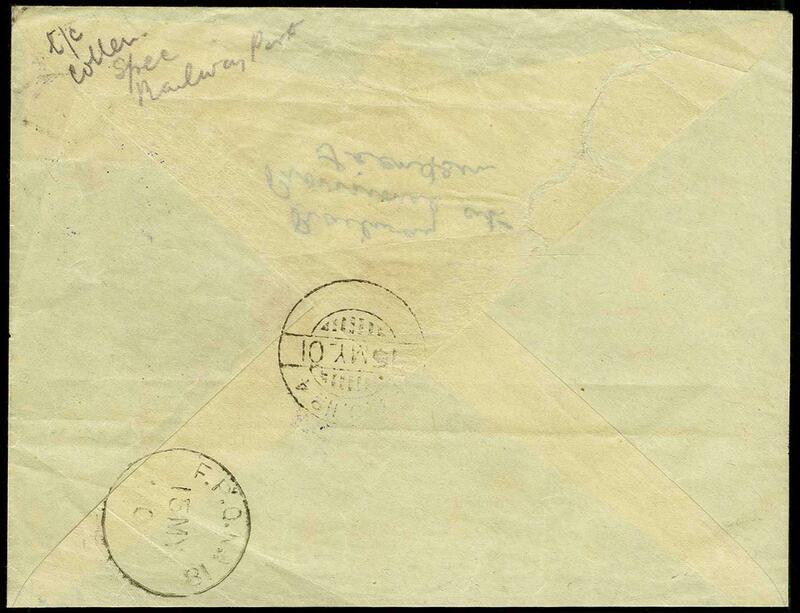 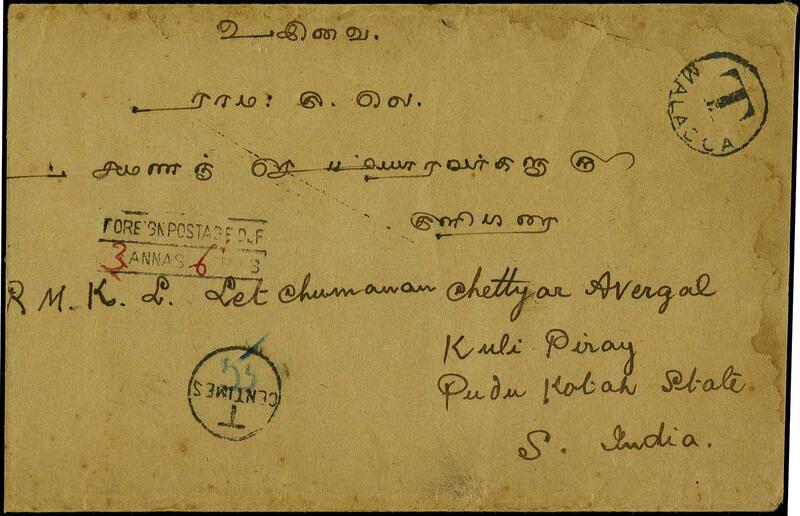 1000/ Hospital Ward 3/ Mauritius" on 10c KG VI postal card, sent by Jewish Internee, Sara Scherzer in Beau Bassin Detention Camp (housing 1,500 Jewish refugees); triangle Type III/B1 Censor handstamp, sent to her brother in New Jersey with message in German. 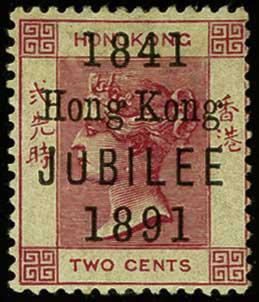 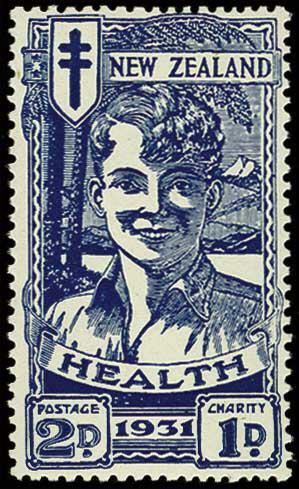 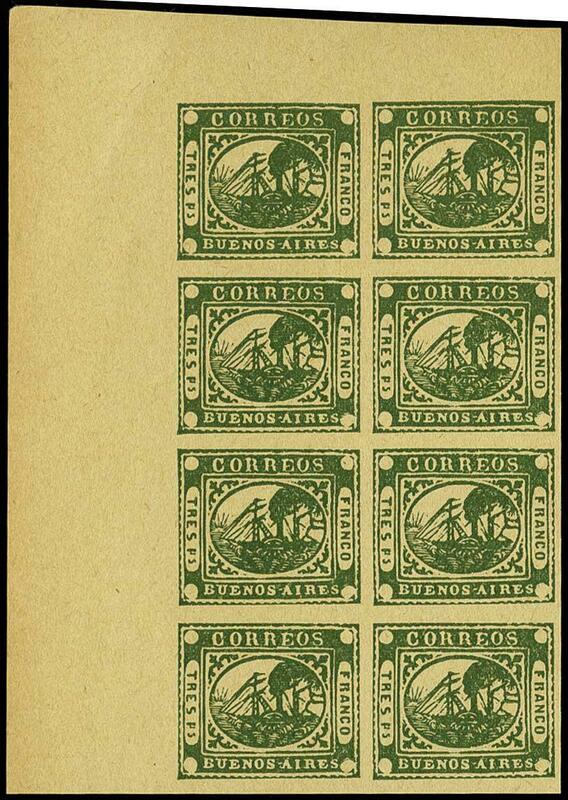 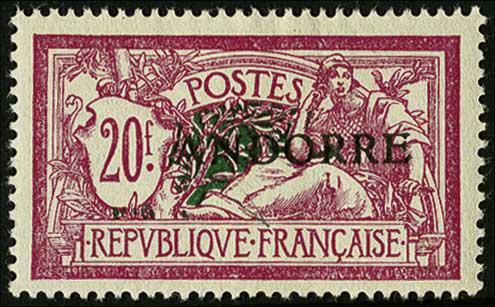 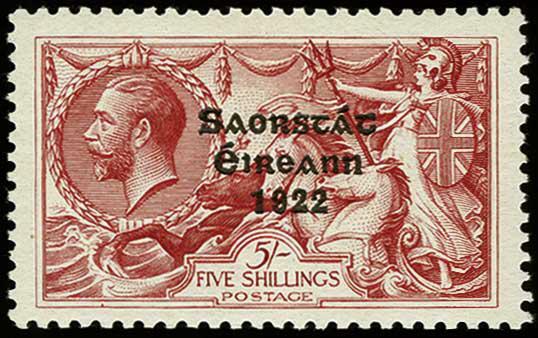 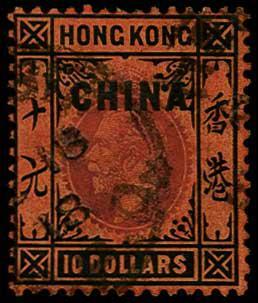 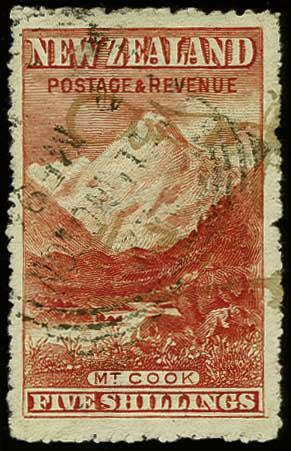 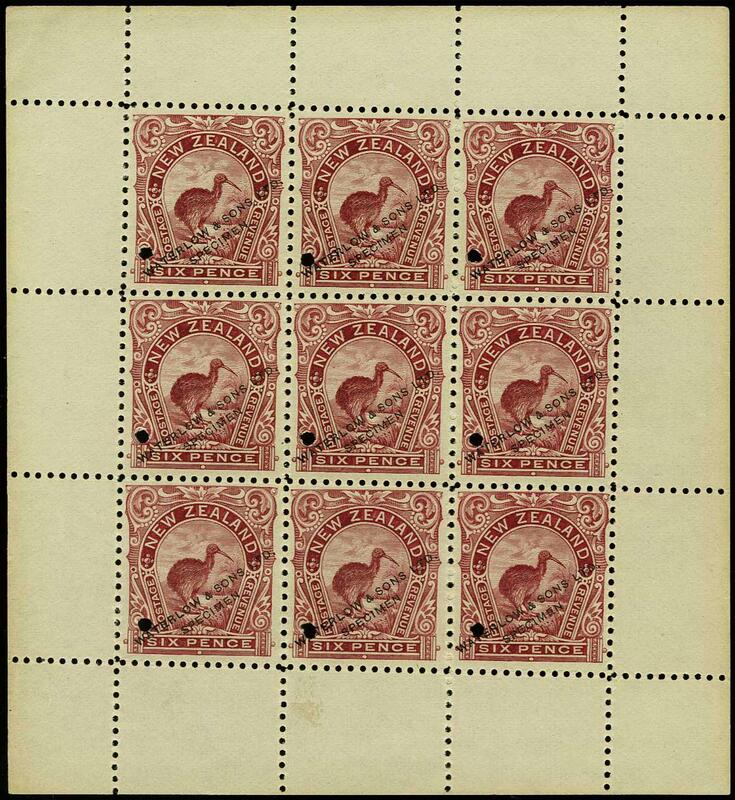 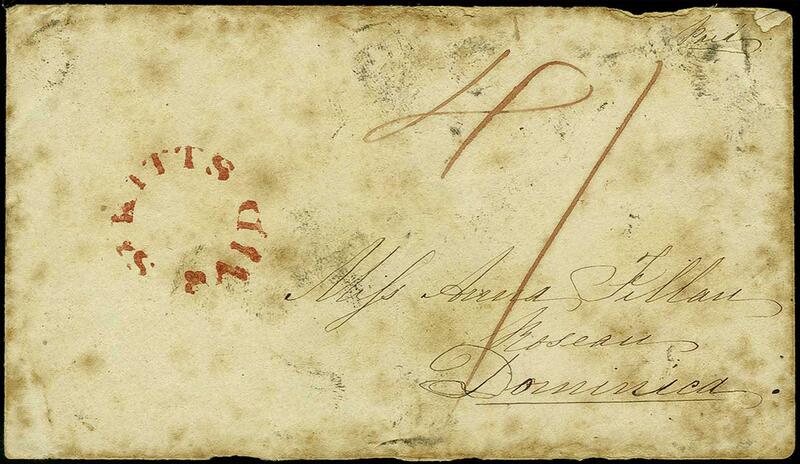 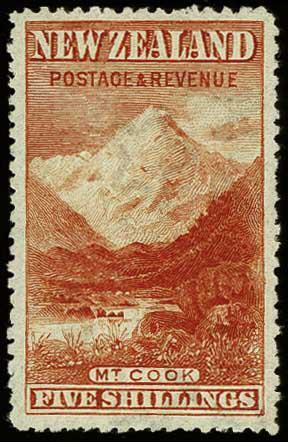 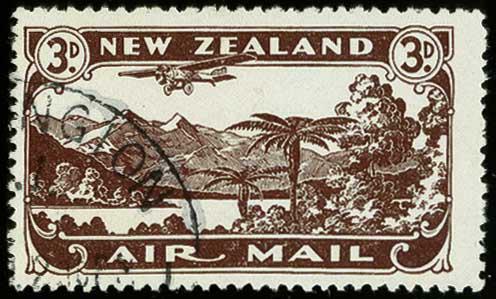 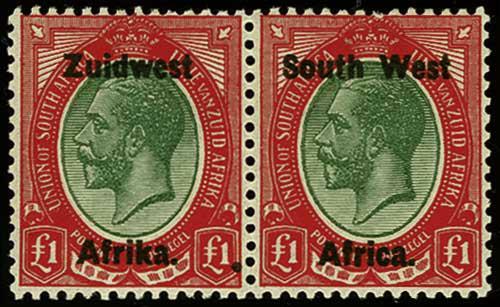 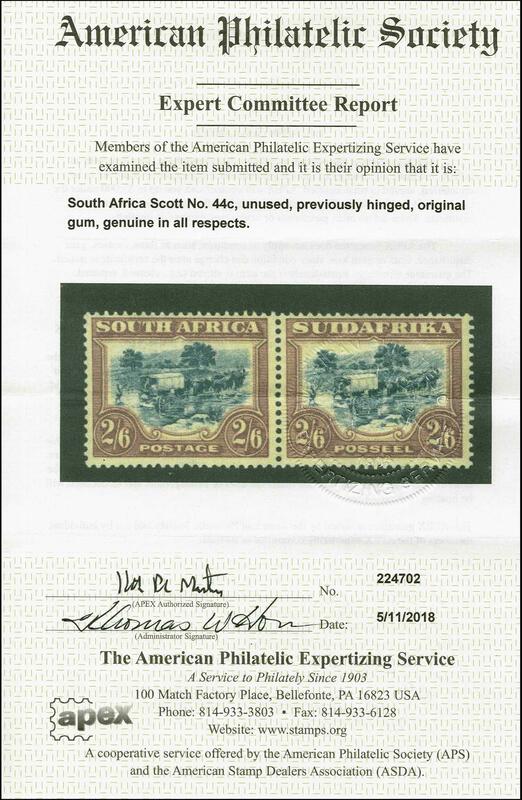 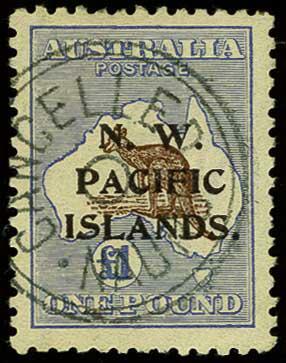 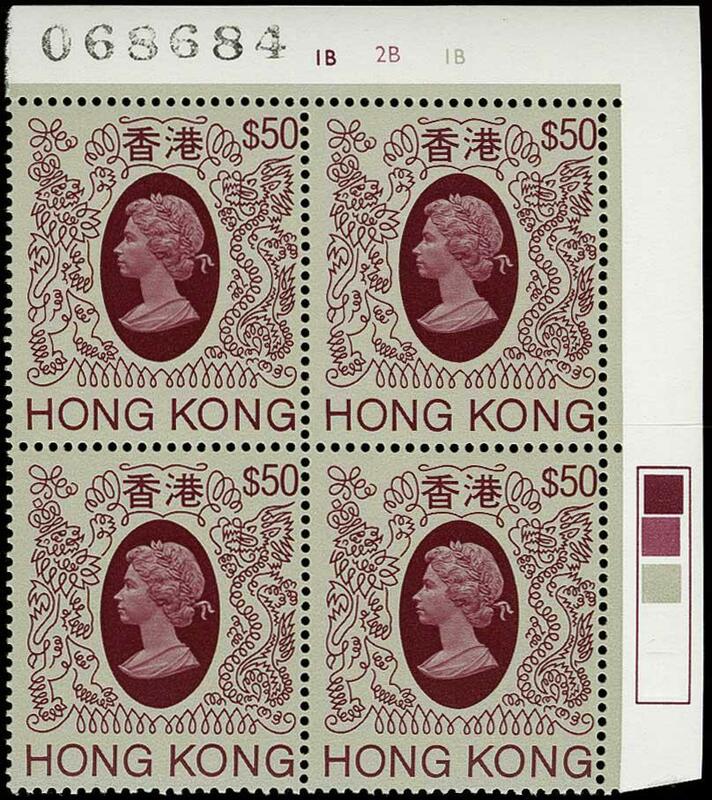 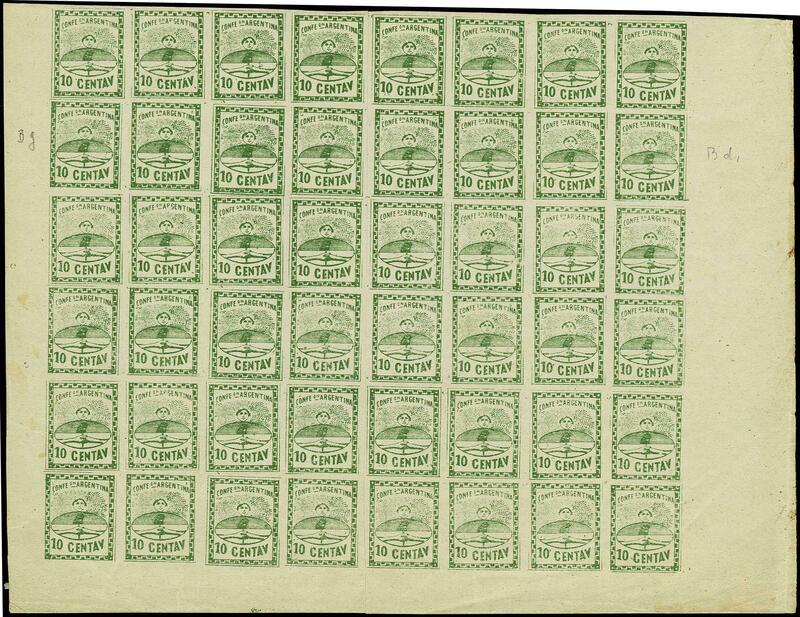 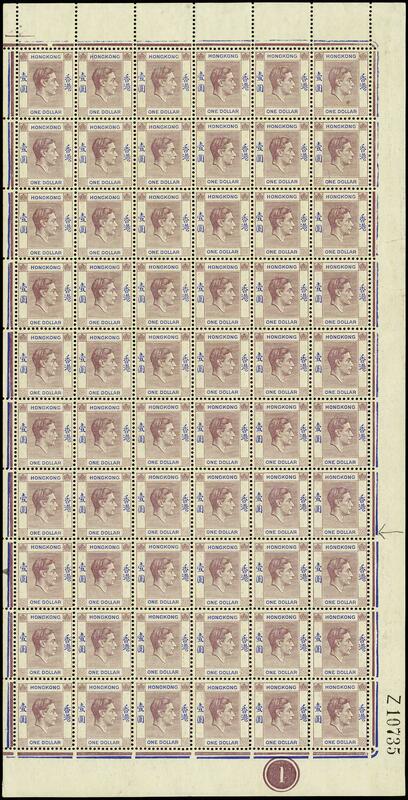 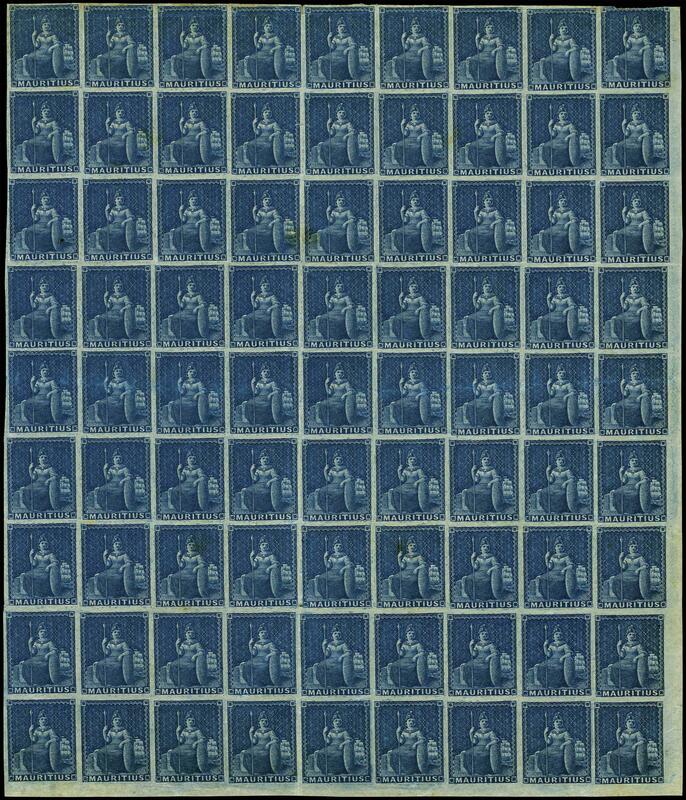 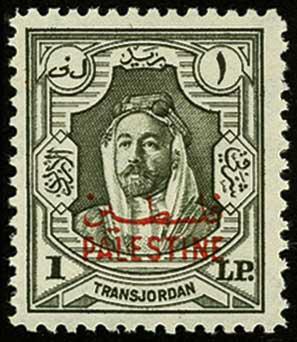 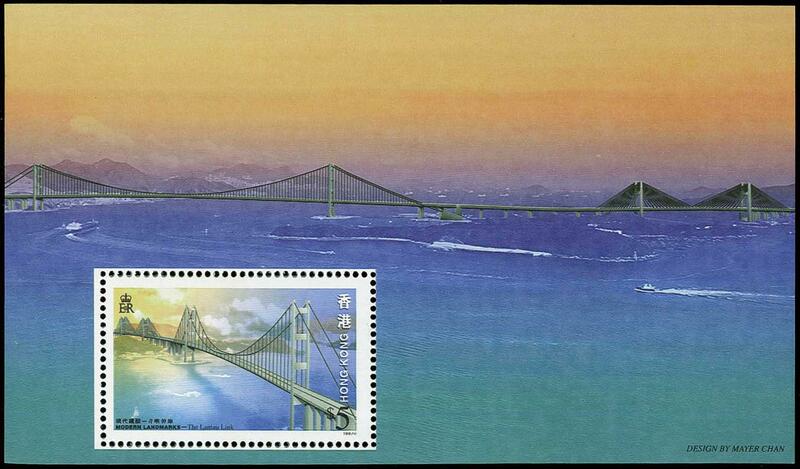 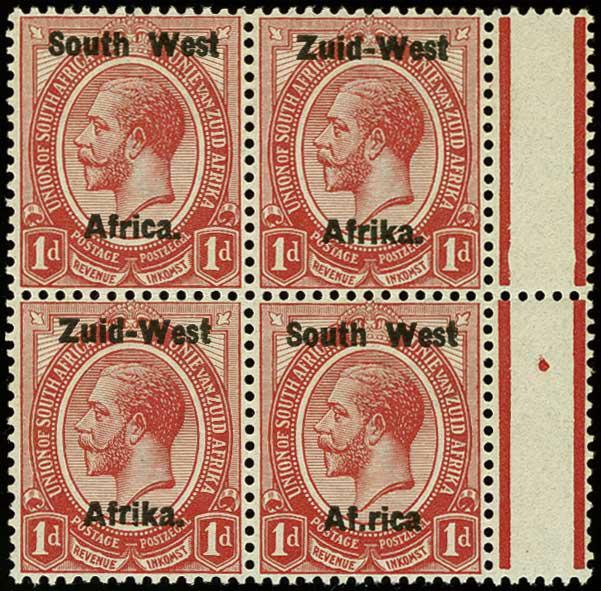 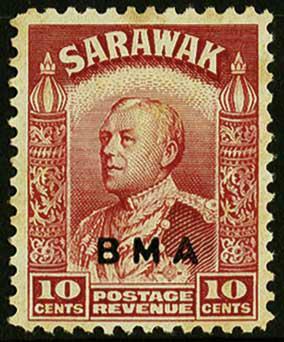 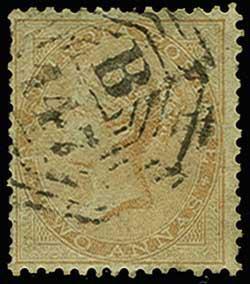 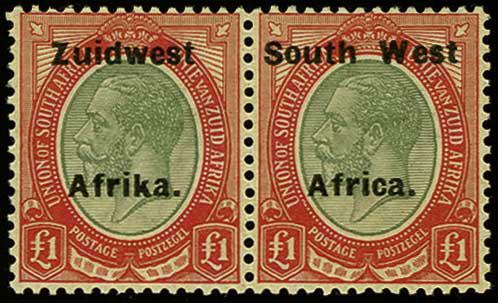 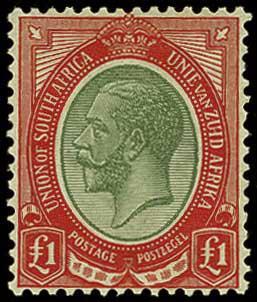 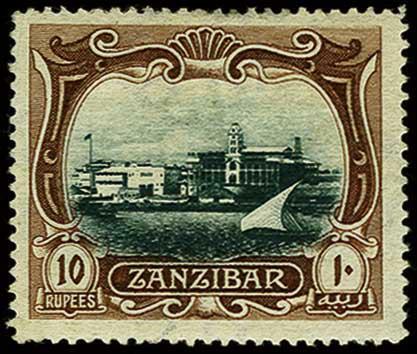 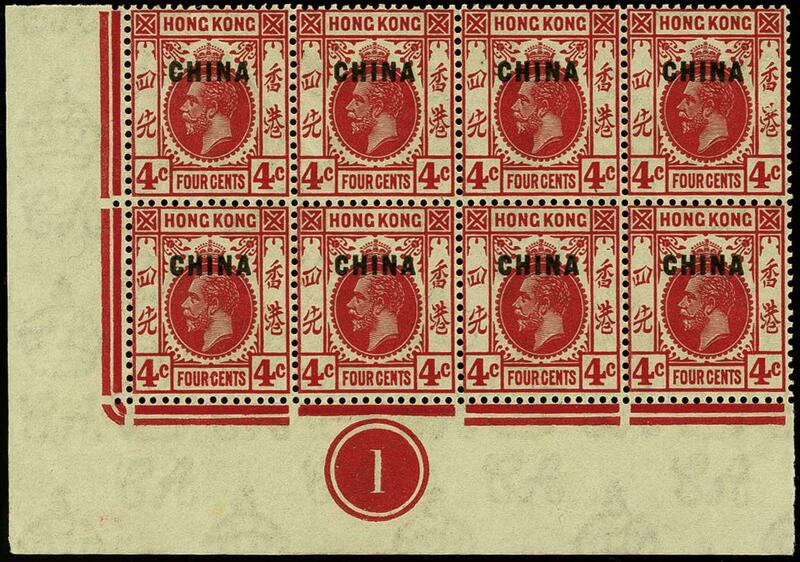 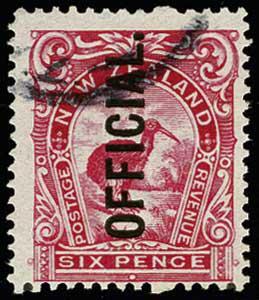 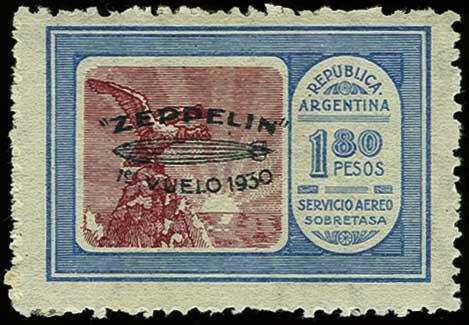 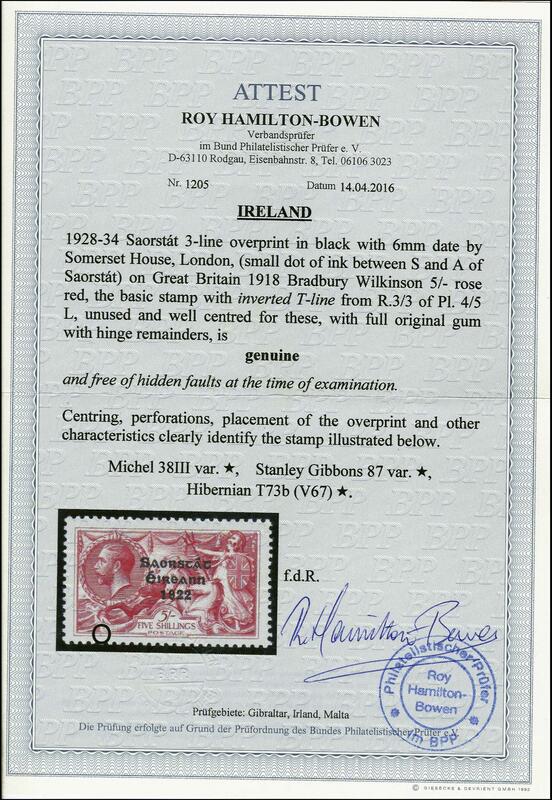 Fine and very scarce. 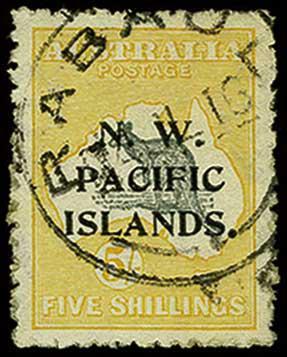 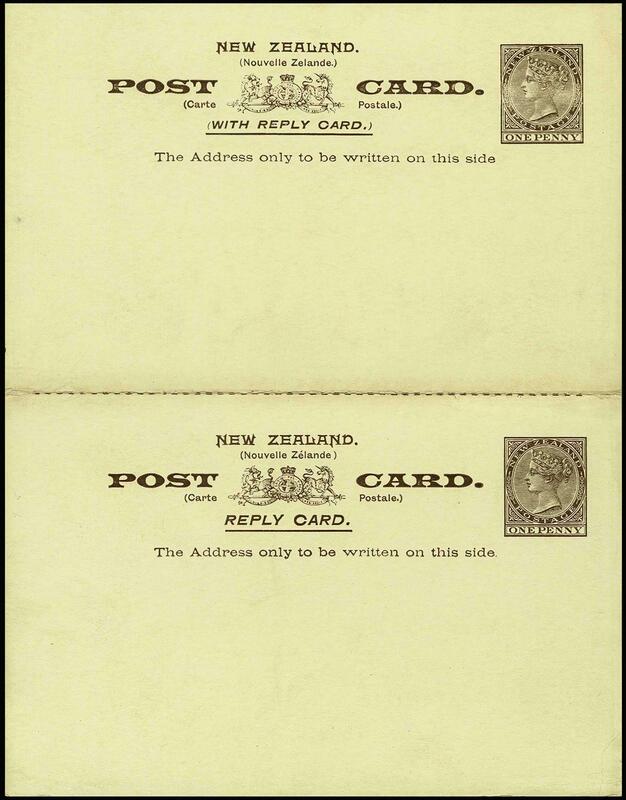 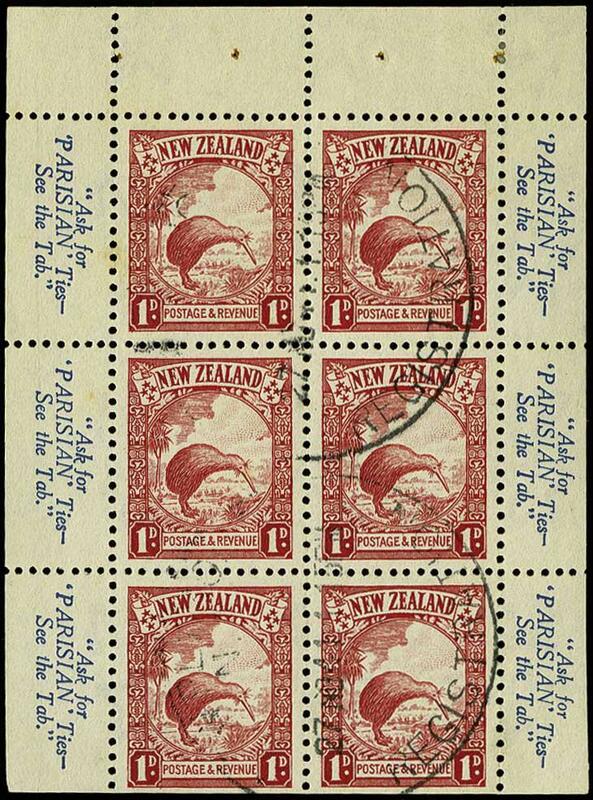 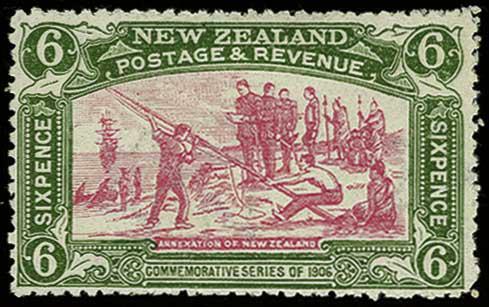 H&G 13, 1901 1d+1d Deep brown on glossy yellowish, mint folded card with three printing varieties; stop missing after "Zélande" on reply card, accent missing on "Zélande" on message card, and no stop after 'SIDE' on message card; Very Fine; unlisted combination of errors on this card. 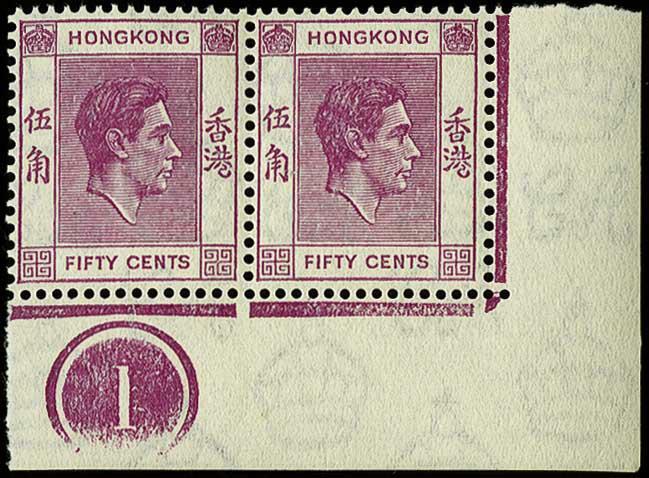 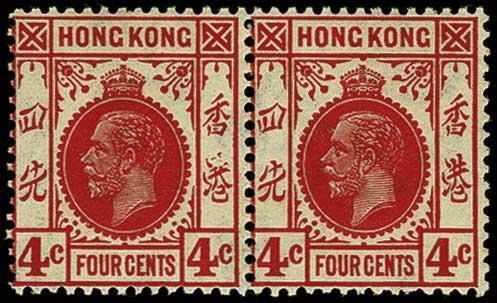 2, 19, 1915 2½d Wmk 8, 1915 9d Violet Wmk 9, both with rare cancels. 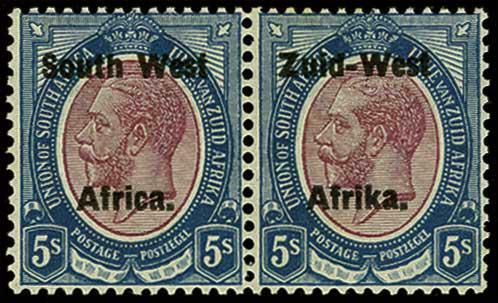 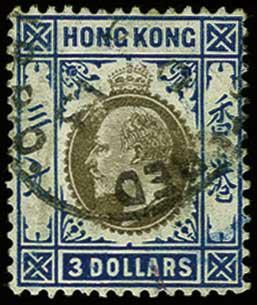 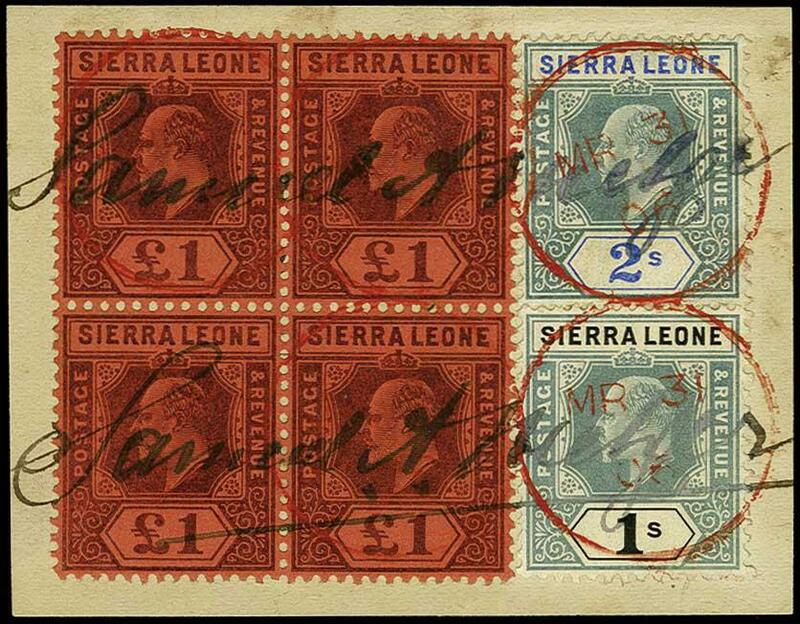 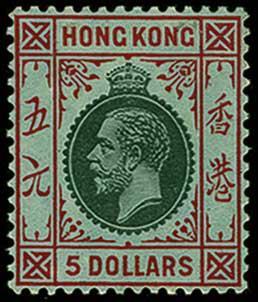 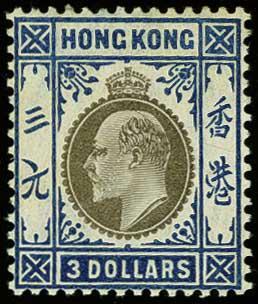 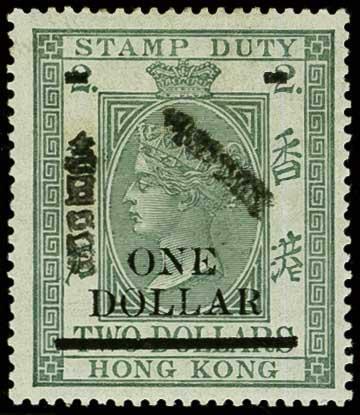 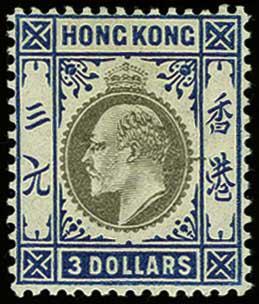 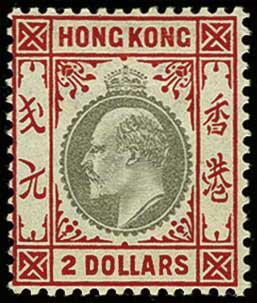 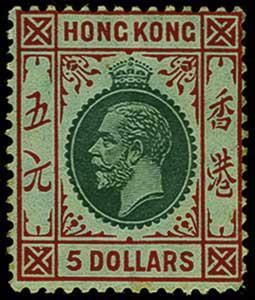 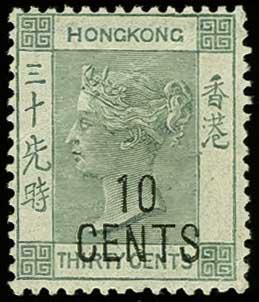 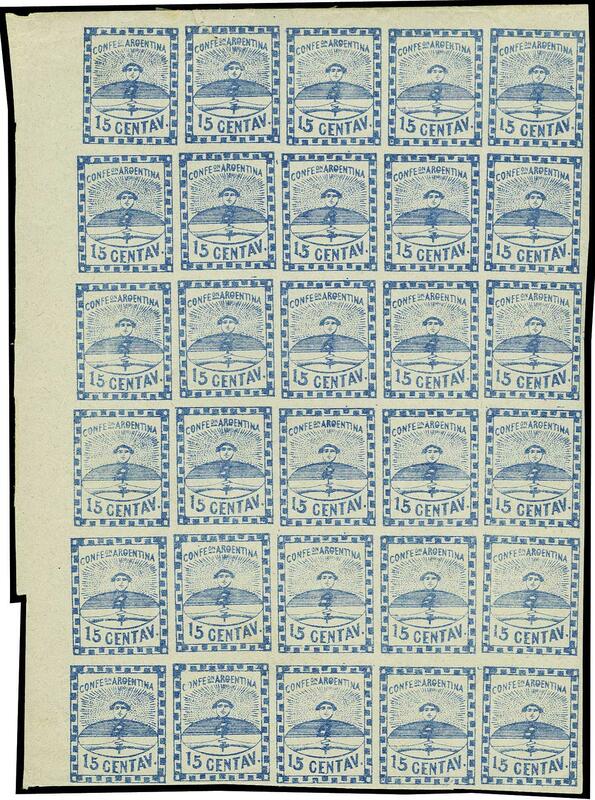 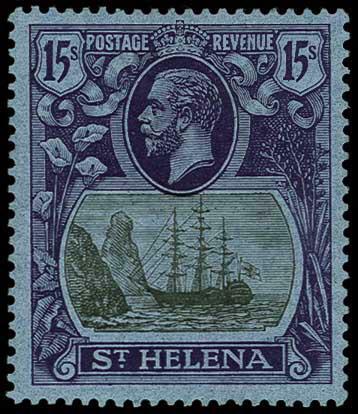 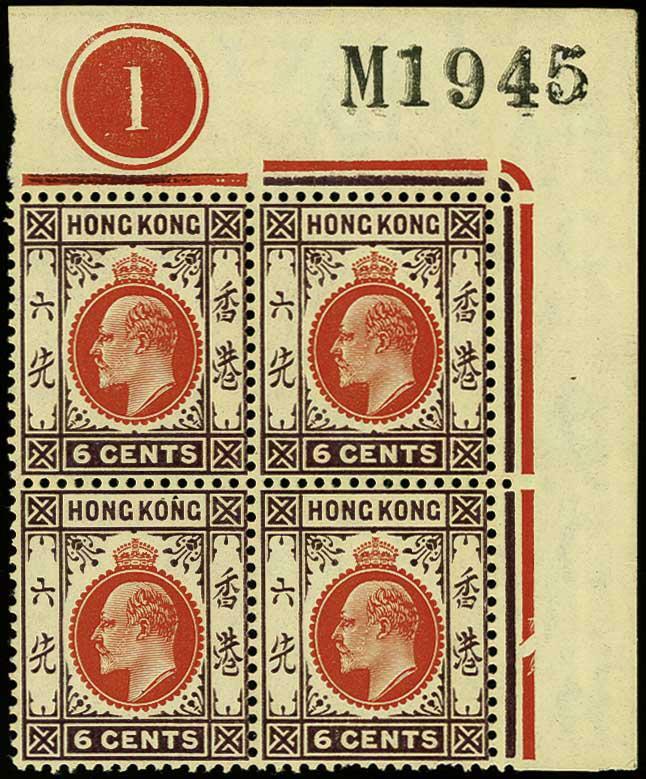 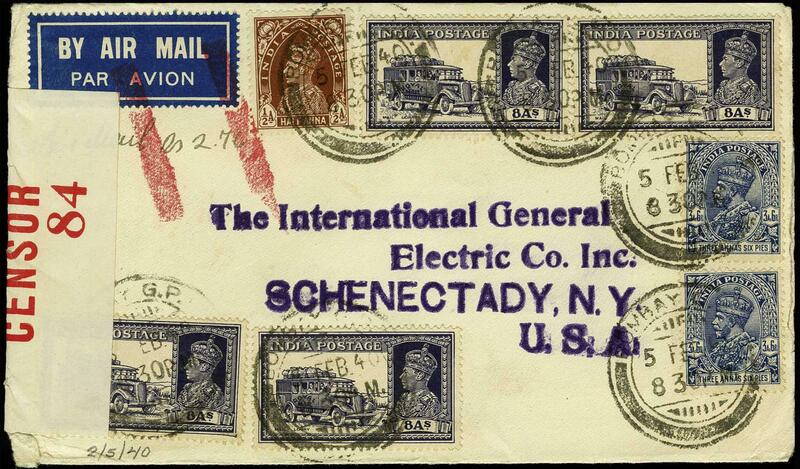 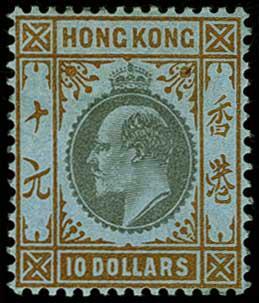 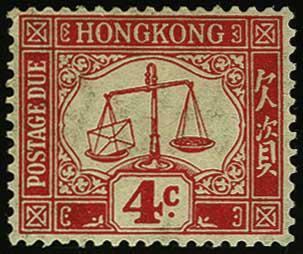 2½d with Type 65 straightline "Station Kieta" in blue, only in use for six months in 1915; 9d, with Type 128 partial violet oval cancel "RADIO STATION / KAEWIENG", dated 1918 (only a couple examples known); fine and rare pair of cancels for the New Guinea Specialist. 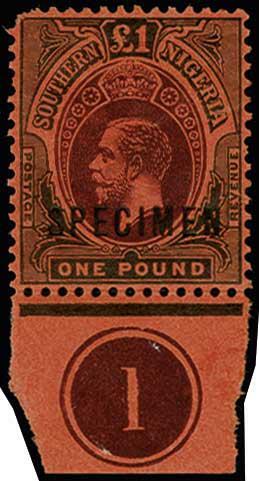 113, 1908 10r Brown & dark green, rich colors, fairly well centered, o.g., some light gum perf soaking across top, otherwise near Very Fine. 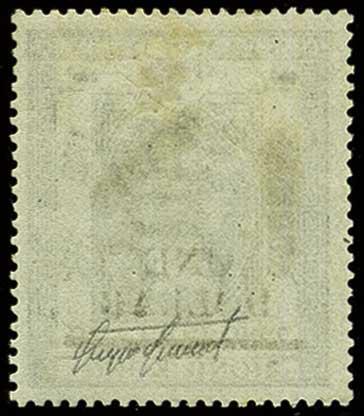 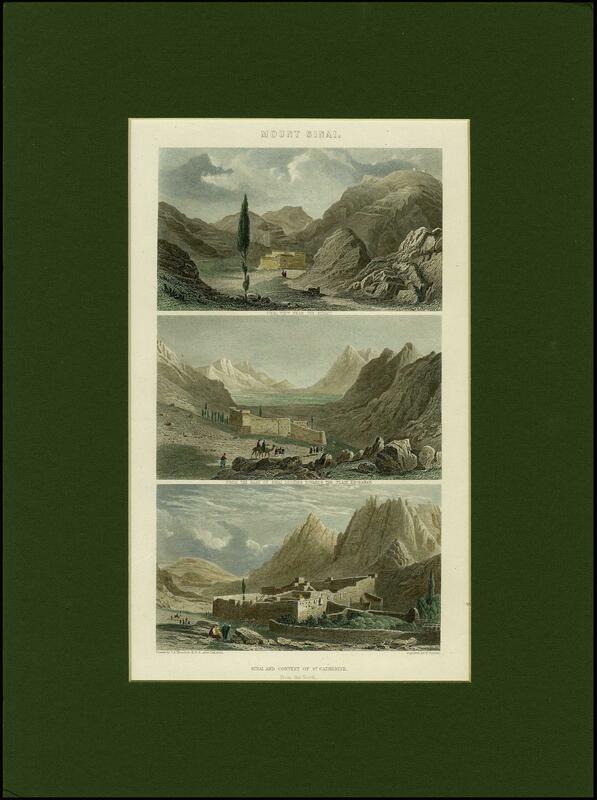 (Scott $215). 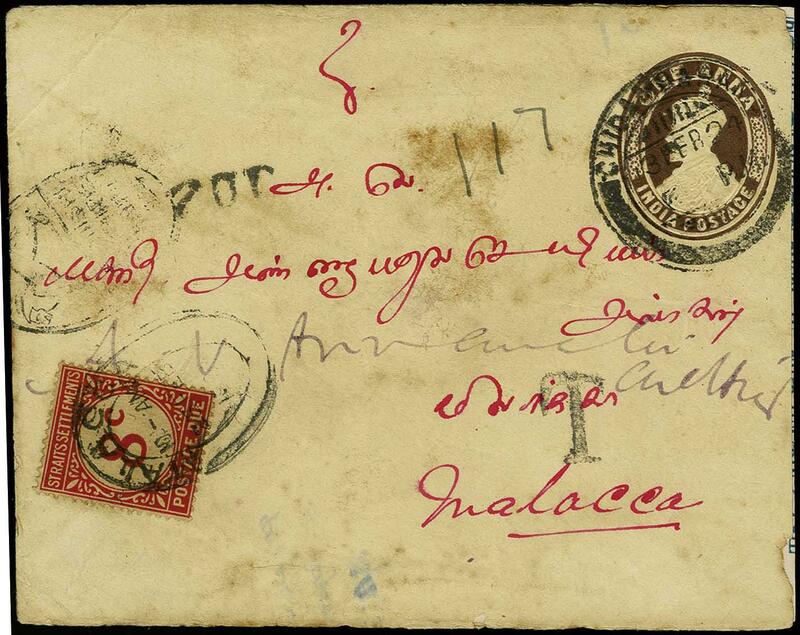 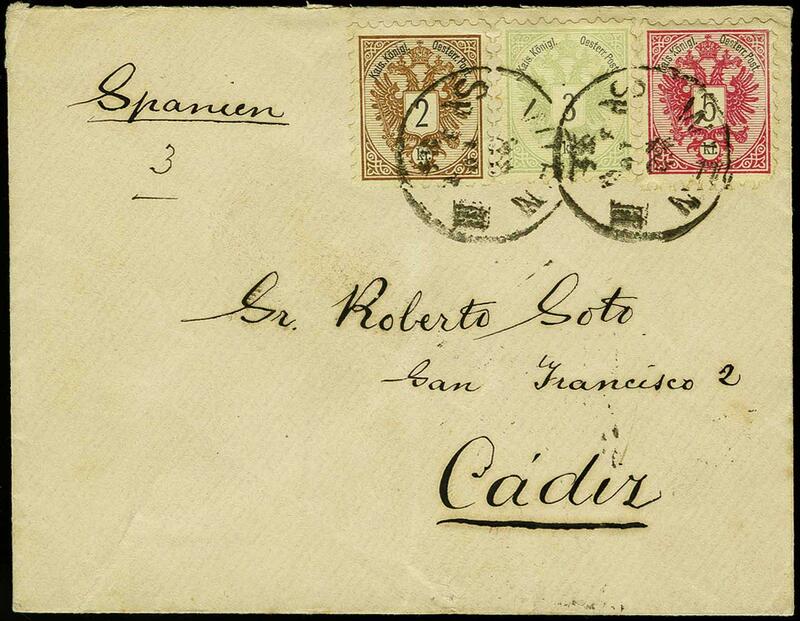 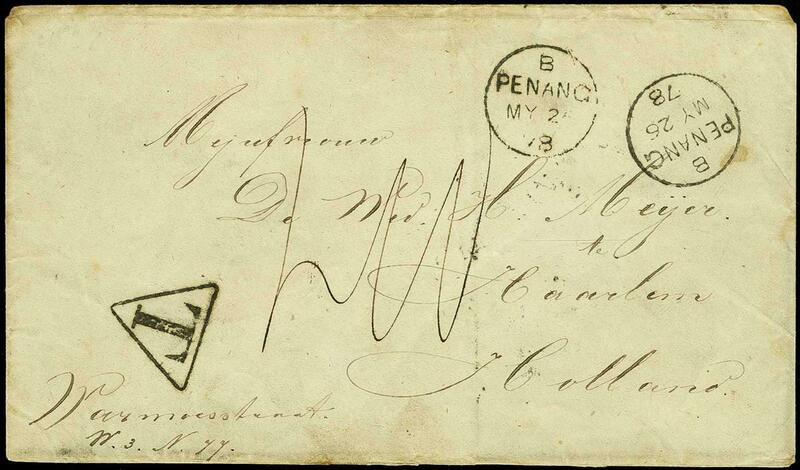 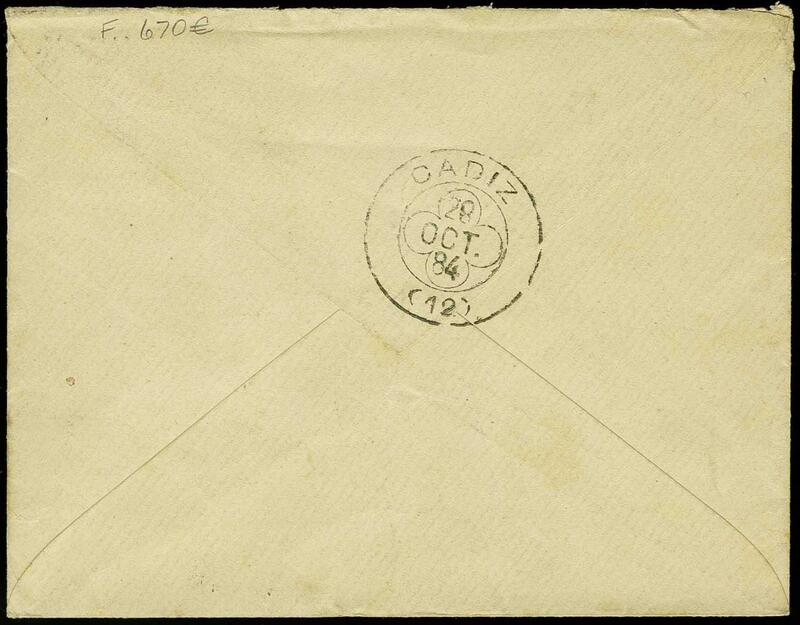 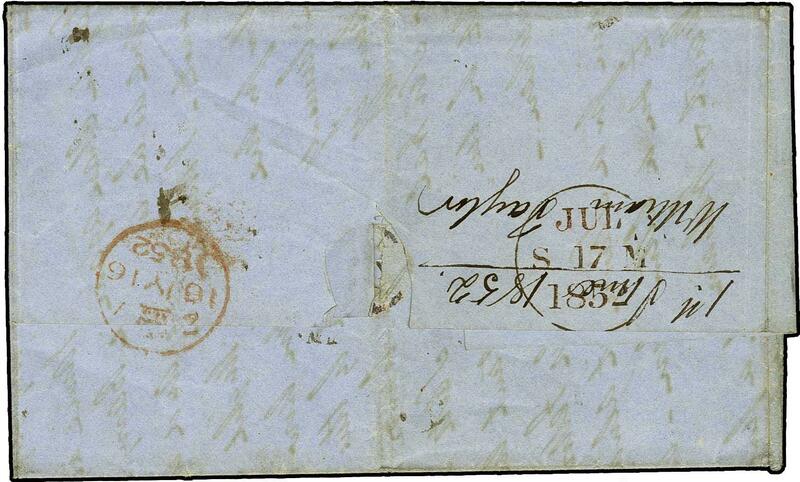 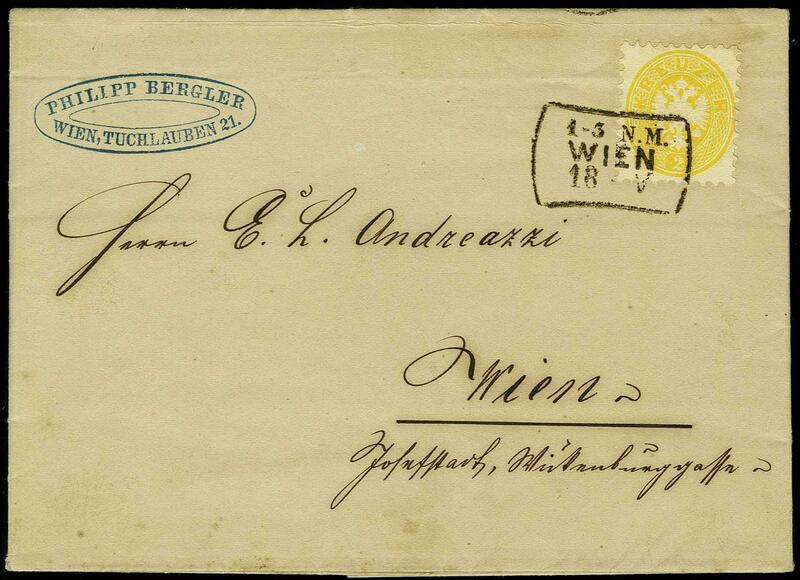 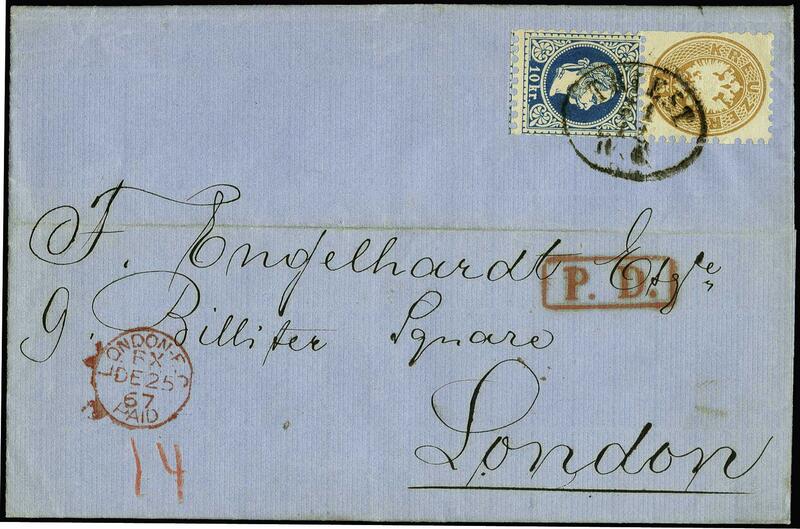 1864 Cover to Spain, Vienna to Cadiz, Spain,with three color franking of 1883 issue (2 kr + 3 kr + 5 kr), paying the 10 kr rate; colorful and scarce (Ferchenbauer EUR670).